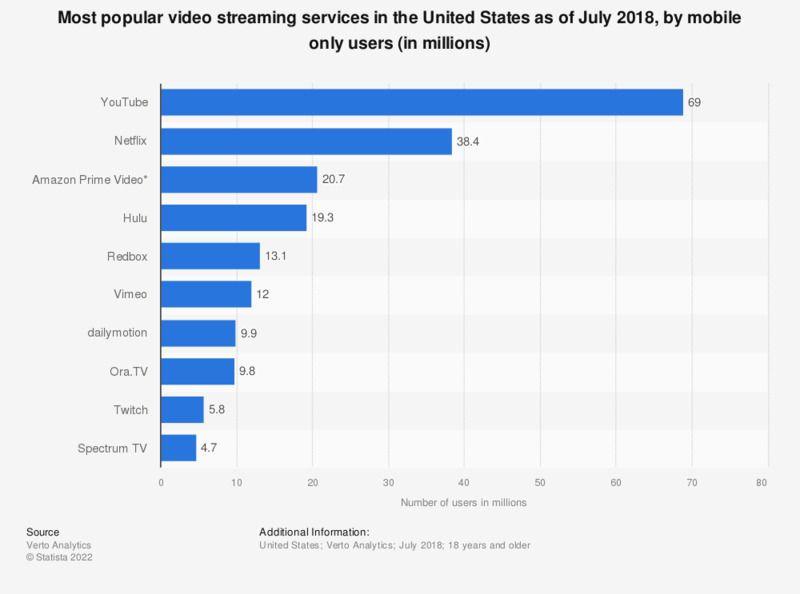 This statistic shows the most popular video streaming services in the United States as of July 2018, ranked by mobile only users. The most popular video streaming service as of July 2018 was YouTube, with 69 million mobile only users. Netflix ranked second, with 38.4 U.S. users accessing the platform solely via mobile.